Can Jet be saved? A few days ago, it seemed the final chapter in the airline's saga had been written. The banks, after seizing control of the airline, could not find anyone interested in taking it off their hands. Every day, more planes were being grounded or seized and flights cancelled. Fuel suppliers were refusing to give any more aviation fuel to even let the remaining planes take to the air. And it seemed only a matter of days before operations of what was once India's premier airline ceased altogether. Then suddenly, there seemed to be a ray of hope. A number of potential buyers have submitted their respective Expression of Interest (EoI). These apparently include two private equity-led bids, a sovereign investment fund, and even Etihad, the Abu Dhabi-based airline that has a 24 per cent stake in Jet but had only a few weeks earlier wanted the banks to buy its shares. 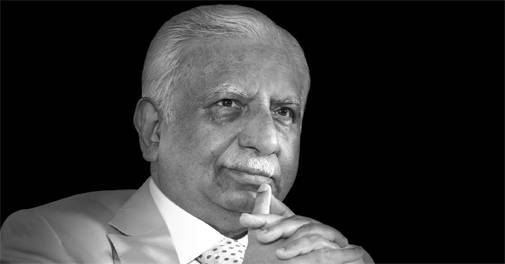 What's more, even Naresh Goyal, the airline's founder who took it to lofty heights before crash landing it, has thrown his hat in the ring. Goyal's EoI will be closely scrutinised legally as he had earlier refused to bring money. Investors willing to back him will also go through scrutiny. Whether the banks would like to talk to him after ejecting him forcibly late-March is open to question, of course. The issue is that an EoI is not really much. It will be weeks, if not months, before any of these potential buyers submit any binding offers - assuming any of them do so at all after examining Jet's assets and liabilities and the terms being offered by the bankers. Even then, there could be lawsuits. And finally, there would be other problems associated with getting an almost grounded airline back in the air and getting customers who have been scared away by the recent events at Jet. Most of all, it will require a lot of cash? about Rs 7,000 crore, if not more, to get most of its fleet back in the air. The time is limited for lenders as well as potential buyers. The most valuable assets of Jet are its slots and bilateral rights - and that will all go away if it remains grounded for 90 days. By then, the airline would be completely useless for any buyer. After being called for an urgent meeting at the PMO to assess Jet's situation, Aviation Secretary Pradeep Singh Kharola said on April 12 that the airline doesn't have money to operate beyond April 15 and banks will have to take a call on how many planes the airline can fly after that date. Jet has already ceased international operations due to lack of funds to operate the planes. If the banks are hopeful of finding a buyer, they will have to release the remaining part of the Rs 1,500 crore they had promised to give to Jet in return for Goyal's exit. This is a crucial moment for bankers, who would be assessing the seriousness of those who have expressed an interest in acquiring the ailing airline. If all these things don't work out, the bankers will be looking at a bigger loss than even the hit they took in Kingfisher Airlines. During that fiasco, the banks at least had the comfort of having some personal guarantees, some shares in United Spirits and United Breweries, and even some real estate. In the case of Jet, even these are missing, and the debt is higher. For potential buyers, there are numerous challenges even before they can formalise a bid. The first is how to put a value to a near shut airline. Given that Jet is in a cash-loss kind of a situation, there is no standard matrix to value it. The lenders, led by the State Bank of India, have gone in for an EoI rather than a fully priced deal, meaning the deal would involve debt restructuring. The resolution plan prepared by SBI in February estimated a funding gap of Rs 8,500 crore. "Does the new buyer want to fly all 115 (aircraft) or does it want to operate with a limited fleet of 40 or 50?" asked the banker. Given Jet's slots and bilaterals, running it with a limited fleet does not make sense either. The bigger question, however, is: will Jet fly under its own brand or, in case the buyer is another airline, will it simply be merged with the operations of its buyers, the way Jet itself had merged Air Sahara and made it JetLite? Any business plan by a new buyer would also influence the valuation. One way to fix the valuation could be to look at the other airlines in India. For example, the government was earlier asking for a higher valuation for Air India because of the better access it has to international airports, its bigger market share and premium slots. Jet used to be among the top three airlines, apart from Air India and IndiGo, to enjoy a large market share. "The battle is between the three big boys. You will value the airline from that perspective," says a consultant. Abhishek Pandey, Managing Director at Duff & Phelps, says if a local strategic player has plans to fly abroad in the near future, Jet offers a ready market with license, premium slots and customers. But these would be attractive only to a buyer which has ambitious international plans or for whom the airline's current rights in international airports and routes fill a gap. Experts suggest that new bidders will take into account the scaled down operations, a conservative estimate of the market share, the global slowdown, and the future direction of oil prices, which is critical. "There is already excess domestic capacity. Without Etihad, the Gulf play is also challenging. Given that the current market is tilting towards IndiGo, the bidders will certainly beat down the prices," says an expert. The second challenge is the immediate cash required just to keep the remaining Jet planes flying. The banks were supposed to pump in Rs 1,500 crore capital for normal operations to run. But that money didn't come. Bankers say they have provided about Rs 250 crore, but no one is willing to commit more. The banks with Jet exposure include SBI, Indian Overseas Bank, Canara Bank, Syndicate Bank, Yes Bank, ICICI Bank, Punjab National Bank, Bank of India, and IDBI Bank. "Some of these are facing challenges of their own," says an investment banker. In the meantime, the way the planes are getting grounded every day, the airline is clearly heading towards shutting operations, which will destroy its value. Then there are the legal complications. The lending banks are doing the current stake sale under the existing equity structure post the Supreme Court putting the Reserve Bank of India's (RBI's) February 12 circular in abeyance. The circular asked banks to follow a six months deadline to resolve a stressed company where there was even a single day's default. So far, Goyal hasn't challenged the stake sale process, and it seems that the bankers are ready to accommodate him in the current sale process since he has expressed his interest in regaining control of the airline. According to the EoI document, lenders have put on block Goyal's entire stake and Etihad's shares, which in total amount to a minimum of 31.2 per cent to about 75 per cent. People in the know reveal that the entire block of shares could be sold at a negotiated price to a new buyer. The stake sale will also attract open offer guidelines. Umesh Mehta, Head of Research at SAMCO Securities, says the current interest in the Jet stock is only because of the possibility of an open offer. "(Otherwise) Jet's value of equity is zero today," he adds. With Etihad also entering the fray, there are issues like open offer guidelines, where the Securities and Exchange Board of India has refused to provide any exemption. Also, Etihad cannot go beyond 49 per cent, which is the maximum FDI limit. Aviation analysts suggest that it would not be easy for banks to take a large haircut. The current stake sale is taking place outside the court driven Insolvency and Bankruptcy Code (IBC), which protects bankers. But the protection that RBI's circular would have given is not available. "The banks are acting on their own, without any protection from future investigations," says a consultant. In the past, Central Vigilance Commission and Central Bureau of Investigation have investigated bankers for many failed restructuring cases. If the current sale doesn't go through, the bankers will have the opportunity to explore a resolution under the new revised circular that the RBI is expected to issue shortly. However, if Jet goes to IBC, there will be more challenges. Goyal has entered the race; under IBC, he is eligible to bid for Jet assets as he passes the test of section 23A, which prohibits a defaulting promoter with non-performing assets (NPAs) of more than a year to bid for their own assets (Goyal's NPA is less than a year old). After April 30, the field will also open for operational creditors to take the airline to IBC, where banks will have little control as the resolution mechanism gets triggered. The financial creditors will also have to take care of the interest of operational creditors before working out a resolution. Mehta of SAMCO Securities says bankers may have to settle for a 50-60 per cent haircut. Though the bankers are loath to do business with him again, Goyal is already attempting a comeback using various legal loopholes. He has always fought and managed to exert total control of the airline that he built from scratch until he was ejected by the lenders as a condition to giving out the emergency cash that Jet needed to prevent a complete shutdown. Goyal agreed, but made his unhappiness clear. Until his forced exit, Goyal, the airline's former Chairman, could have claimed to have nine lives. Soon after he started the airline in 1993, he survived the first big meltdown in the aviation sector that took the lives of other ambitious private carriers such as ModiLuft, Damania Airways, East-West Airlines, and Skyline NEPC. Not only did he survive various other disasters - the Asian financial crisis, 9/11, the 2008 economic downturn, and the crude oil shock - he managed to take the airline to new heights, and ruled the skies for nearly a decade before low-cost carriers (LCCs) got the better of him. Goyal, who built his empire on the back of strong political connections, astute business sense, and deal-making skills, has run out of luck, and Jet is facing an existential crisis. Jet's problems are plentiful but at the core is shortage of funds, without which the airline has no future. Jet is caught in a downward spiral where the fewer planes it operates, the more severe its cash crunch because some of its fixed costs (employees, administration, legal) remain. The problem with Jet began about a year ago when it posted a quarterly loss (of Rs 1,036 crore in May) on account of rising aviation turbine fuel (ATF) prices and sharp rupee depreciation against the US dollar. This was Jet's first quarterly loss after 12 quarters. It's not that the airline was in good health prior to that, but this was a major trigger point for the collapse that the airline is witnessing now. Goyal tried to bring the airline back into shape but the situation only went from bad to worse under him. While he continued to call the shots despite severe headwinds, in January 2019, the airline defaulted on its debt obligations to a consortium of banks. That has given an access to the lenders to gain de-facto control of the airline. Goyal still has the largest shareholding but has lost his bargaining chip with lenders who have lost trust in his abilities. In its EoI document, SBI Capital Markets, an investment banking subsidiary of SBI, hasn't given details of the sale process. This means there would be several rounds of parleys and hard negotiations to arrive at a valuation suitable for both parties. Interestingly, Goyal has recently pledged 26.01 per cent of his holding to PNB for existing and new borrowings. The need of the hour is for Jet to get a domestic investor with deep pockets and a big appetite for risk. Jet, however, has only a few physical assets - just 16 aircraft, which have been bought through bank loans and can be seized by other lenders. "Jet doesn't have fixed assets. Most of the planes are leased. It has some equipment that has limited value. The biggest value in this business is slots. The airline is valuable but its marketability is low. And if they don't use the slots for 90 days, others can bid for those," says an aviation consultant. In Mumbai, Jet has the highest number of slots (106) among all carriers, and significant bilateral rights in Singapore, Dubai and London. If the airline collapses, these slots and bilateral rights would be redistributed among other carriers. "Unlike a manufacturing unit, which has land and plant, an airline's value lies in the number of flights, and the market share. Here, the need is to infuse funds and keep it (Jet) going. 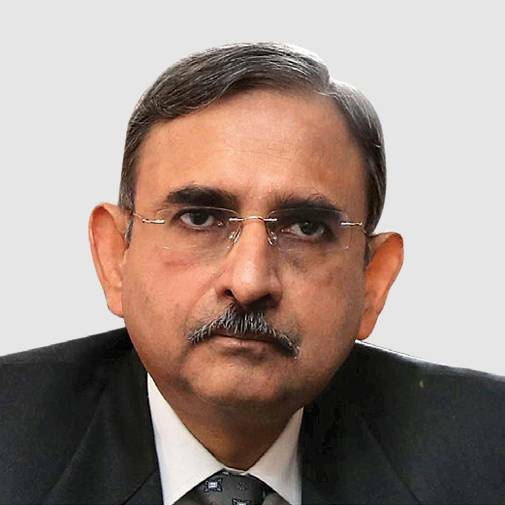 The airline has a value as long as it's flying," says Jitender Bhargava, former Executive Director, Air India. The other scenario could be that lenders reduce interest rates, extend the payment period or give a moratorium on interest to the new buyer. "In any acquisition, liabilities in a target company may not be desirable, but it can give the buyer a leverage to drive the price lower. 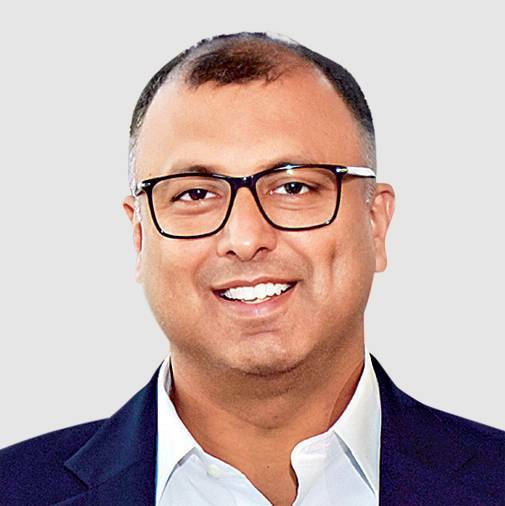 Jet's financial woes should be beneficial to a potential buyer... who would fancy a better deal in negotiating with creditors rather than with the promoters," says Neeraj Dubey, Partner, Lakshmikumaran & Sridharan, a law firm that specialises in corporate law. "There will be a haircut. I was also involved in the SpiceJet transaction in 2015 where the new owner Ajay Singh came in and offered about Rs 100 crore settlement when the airline's liabilities were about Rs 1,400 crore. Some lenders got more than others and the matter was settled. Finally, Singh got the airline for Rs 2," says Amit Sinha, Partner at consultancy Bain & Co. Some argue that letting Goyal step away from the board makes for a good optics but doesn't help the airline at this juncture. "If Goyal has failed to get money, how are bankers so confident of getting investors? He is sitting pretty in London. Who will pay the debt? Who will give the salaries to the employees? One month later, Goyal can turn around, and blame the bankers for killing the airline, and refuse to pay Rs 8,000 crore (of debt). Banks have allowed themselves to be taken for a ride," says Bhargava. It's believed that the intervention of banks is an indirect attempt of the government to rescue the airline until the general elections are over. "In an election season, no government can afford to let a large airline like Jet shut down, and render over 16,000 employees jobless - even if it's not the government's official responsibility," says Mark Martin, CEO, Martin Consulting. As the saying goes, life comes full circle. 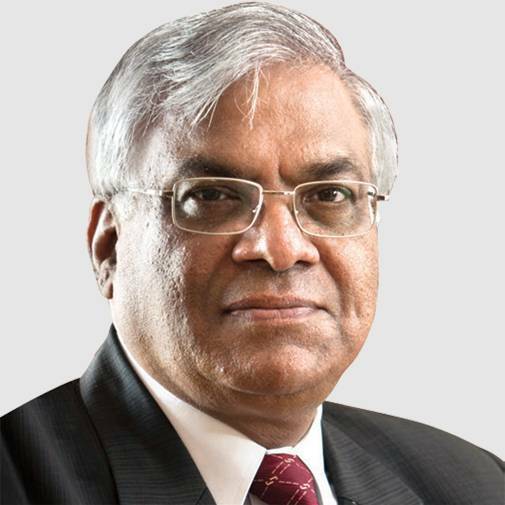 Back in 2005, sitting across the table with his colleagues at Bain & Co, Sinha told Wolfgang Prock-Schauer, the then CEO of Jet, and his senior colleagues in the airline, that Jet must change its business model in order to survive the onslaught of low-cost newcomers like Air Deccan and IndiGo. Prock-Schauer, an industry veteran who is currently the COO of IndiGo, laughed at him. "As a full-service carrier (FSC), it's difficult to survive unless the cost structure is nimble. We were trying to present a business proposal to them, but they didn't buy our services," says Sinha, who is now advising a couple of potential buyers on EoI. "We have realised that due diligence will take several weeks. It's like the Air India story; someone has to be really bold to participate in this," he says. A few years after meeting Sinha, Jet found its own way of competing with LCCs by acquiring the loss-making FSC Air Sahara - an acquisition that marked the start of its downfall - and converted it into the low-cost JetLite. There were more dissimilarities than commonalities between these airlines. Through acquisition, Jet got about 2,300 Sahara employees along with its poorly managed fleet. Both had different work cultures. "Both Jet and Kingfisher Airlines were fiercely bidding for Air Sahara because of which its valuation turned unreasonable. Finally, Kingfisher settled for Air Deccan. These mergers proved to be Waterloo for both the airlines," says Harsh Vardhan, Chairman, Starair Consulting. Jet acquired Air Sahara for $340 million. The other issue was with the rebranding of Air Sahara into JetLite, and the subsequent launch of a new brand Jet Konnect, the low-cost arm of the mainline that would serve tier-II markets. 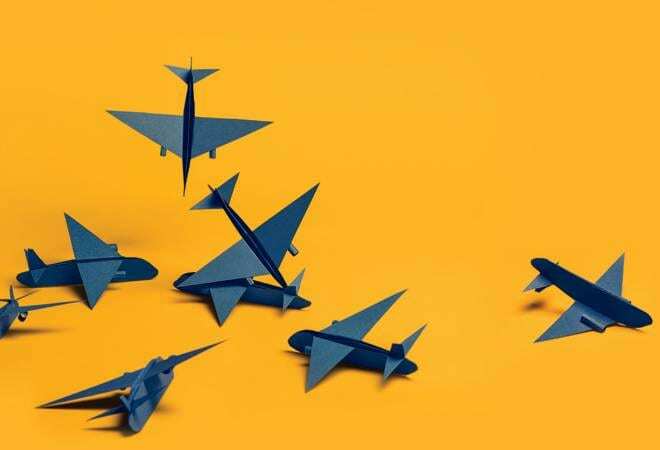 The whole low-cost offering didn't work well because the airline often struggled with fleet management and product differentiation that resulted in confusion among customers and drained its management resources. Despite its struggles, Jet continued to lead the domestic market till 2012 when IndiGo took over. Experts say that Jet's model was inherently flawed and ever since IndiGo and SpiceJet have dominated the market, Jet has continued to lose money. "It's a cost leadership game. A full-service carrier needs to have low cost, especially when it's competing with LCCs," says Sinha. The problem with Jet is that its cost structure is 30-40 per cent higher than LCCs whereas its revenues are just 15 per cent higher. So, if IndiGo is charging Rs 5,000, a Jet customer would pay a maximum of Rs 5,750 for extra food and frequent flier programme. Jet's ability to increase fares beyond this level is limited and therefore, its RASK (revenue per available seat kilometre) can only be 15 per cent higher. On the other hand, the costs of providing full services are high because the airline has to spend a lot more on meals, and maintaining more crew members. Loading and unloading of food and cleaning up the aircraft takes time, and so the aircraft utilisation is lesser. The density of seats is also lesser in FSCs than LCCs, which means the latter can carry more passengers per flight. To make matters worse, Jet had four types and 14 sub-types of planes in its fleet, which added to the operational and financial complexities. A man with humble beginnings, Goyal's achievement in no small measure was made possible by the sheer influence of corporate India on policymaking. His success was not necessarily based on a solid business model but on the skills of political maneuvering and being able to raise finances and do deals that helped him escape tight situations. Also, he was a hands-on man who couldn't find a stable CEO to run the business because of his constant interference. Soon after its launch, Jet became the gold standard of aviation. In the initial days, Jet's network was not much different from Air India, and it could attract Air India's customers with a better product. When the going was good, nobody could counter him but people now have legitimate reasons to question his management style. "Not only were Air India's profitable routes given to Jet, he (Goyal) was also given better slots," says an industry veteran. When the private airlines were given permission to start international operations, Jet lobbied for 5/20 rule which mandated a domestic carrier to be five years old and have a fleet of 20 aircraft to fly overseas. Then, just before its IPO, Jet was given permission to fly international. "In 2012, Goyal opposed the FDI but after Kingfisher's collapse, he immediately supported it and got Etihad on board," says Bhargava. Of late, the scenario has changed with airline promoters losing influence over Rajiv Gandhi Bhawan, the headquarters of the civil aviation ministry. Email queries sent to Jet and SBI remained unanswered. The demise of Jet is taking place at a time when air passenger growth is robust. For the most part of last year, the passenger growth stood at around 20 per cent. Experts argue that it's a false idea that India is the fastest growing market. The market is being stimulated by low fares across the board. "In a mad scramble to garner market share, airlines are losing sight of profitability. I could have understood if this happened in 2010 when the airlines were immature. Ajay Singh and Rahul Bhatia (of IndiGo) have said that fares must go up; but who will bell the cat," says Bhargava. If airlines know that they are on a treacherous path, why are they not taking corrective measures? "That's because they have ordered 900 aircraft to be inducted in the next few years. If the stimulus goes away, the growth rate falls to 5 per cent; they will not be able to fill up new capacity," he says. In India, nearly 60 per cent of the air traffic is price-sensitive, and fares cannot be increased beyond a threshold. If the airlines cross that level, either the people cancel their travel plans or shift to a cheaper mode of transport. The corporate bookings are already heavily discounted, and the moment fares are increased, the volumes go down. Price sensitivity of the aviation market and a high cost platform make for a dangerous cocktail. Countries like China and Singapore have a base price model where fares are kept at a minimum level so that costs are covered. Airlines, even the new ones, follow the model strictly. That ensures healthy growth of the airlines and the sector. "It's the toxic environment created by the government. On one hand, the ministry boasts of India becoming the fifth largest aviation market in the world. On the other hand, we don't have a coherent policy. India has one of the worst aviation sectors. Everybody is making profits in the sector except the airlines. The fuel is taxed heavily, navigation charges are high and the major airports behave like a monopoly," says Devesh Agarwal, an aviation blogger. 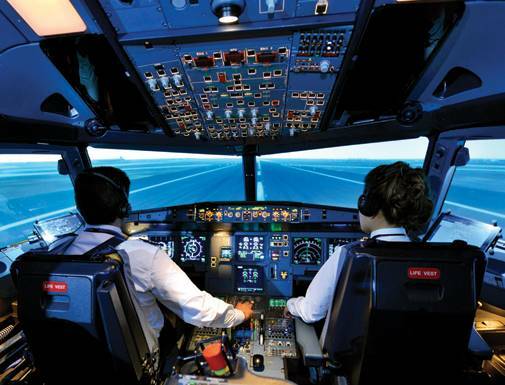 The domestic aviation industry has witnessed 12 major failures in the past 21 years. Jet should have tweaked its business model long ago, and brought in a professional management - just like Margaret Thatcher did to British Airways in the 1980s. The comeback stories are far and few between in the aviation sector, and for Jet, the situation is messy. Lenders pinning hope on finding a buyer might just fall flat and a forced shutdown could be the only viable option for the 25-year-old airline in the coming days.